We’re here to help, whether you want relief or wellness. We’ll offer clinical excellence with the latest safe and natural chiropractic care. We’ll offer hope because with a revived nervous system, anything is possible! Thanks for visiting our website. I look forward to meeting you and learning how we may be of service to you. Please give our office a call at 672-7878 or use the link below to e-mail any questions you may have. 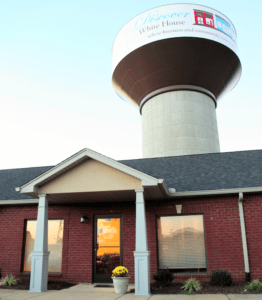 We’ve been delivering quality chiropractic care to the White House community since 2003. Prior to opening his office in White House, Dr. Banning owned a chiropractic practice in the Rivergate area for 13 years. He and his family have lived in the White House community since 1993 and enjoy living and working in the same community. Sound interesting? Please contact our White House office to make an appointment today.